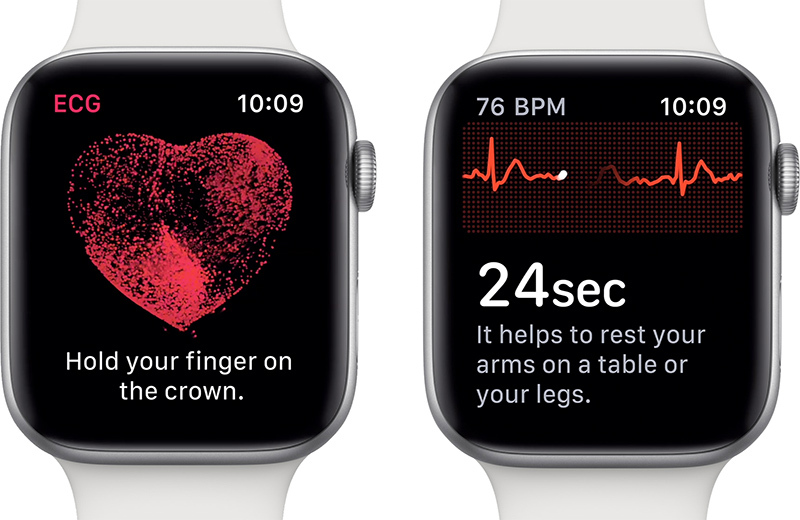 Apple today released watchOS 5.1.2, which activates the ECG app for Apple Watch Series 4 models. However, as Apple has clarified, the ECG app is currently only available in the United States and its territories of Puerto Rico, Guam and the US Virgin Islands, so it can not currently be used internationally. Many software features on Apple devices are initially limited to the United States. However, international users have often been able to move their iPhone or Apple Watch region to the United States for access. 1; it does not work. Note that the ECG app requires an Apple Watch Series 4 with watchOS 5.1.2 paired with an iPhone 5s or later with iOS 12.1.1. Both the ECG app and irregular heart rhythm notifications are regulated features of the Apple Watch. Both features have been awarded De Novo by the FDA for US users aged 22 and over. Apple says people who have already been diagnosed with atrial fibrillation should not use the app. It is not clear when the ECG app will be extended to other countries. However, the internationally sold models of the Apple Watch Series 4 have the required electrical heart sensor. Apple is likely to get approval for the ECG app in other countries, but it has not yet announced availability.